Hi, I’m Kenna, and I’m going to tell you how to make a doll from pioneer times. Children in pioneer times did not have a lot of toys, and the ones they did have were home made. Girls, especially, liked to play with dolls. Playing with dolls was a favorite pastime for girls. It taught them sewing and embroidery skills by making clothes for their dolls. Dolls in pioneer times were usually made with scraps of fabric sewn together or tied together with yarn. 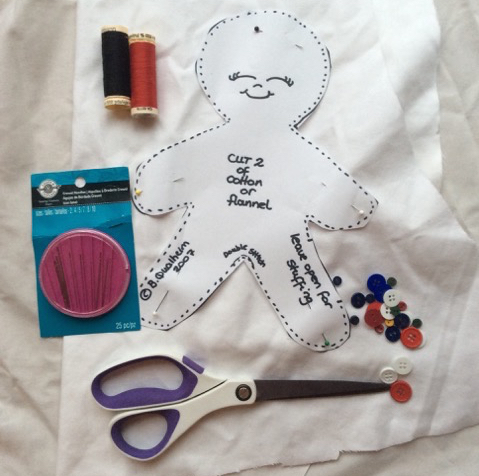 I’m going to show you how to make a rag doll like the ones they made in pioneer times. First, I printed a pattern off the computer. Now, I know that there were no doll patterns in pioneer times, and that they made the dolls with their imagination, but for our sake, we are going to use a pattern. You can also draw one, but I printed mine off the computer here. Second, I pinned the pattern to the fabric, then I cut around the pattern and removed the pins. 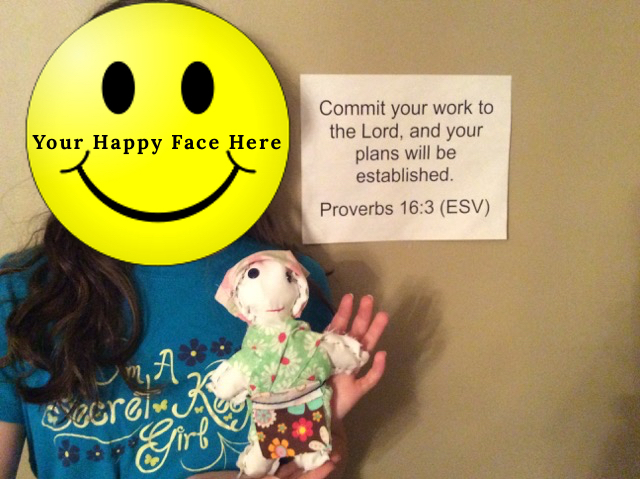 Third, I sewed the mouth on one of the doll pattern sides. I used red thread. Fourth, I sewed the buttons on for eyes. I used black thread. 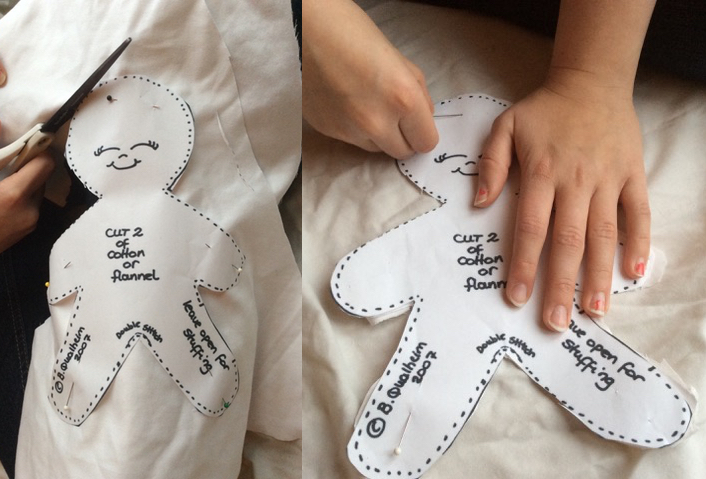 Fifth, I kept the black thread on the needle and started sewing around the doll. Sixth, I sewed until there was about two inches left, then I stuffed the doll with fabric scraps – you can also use stuffing. Final Step, After you stuff your doll, finish sewing and you’re done! You can also dress your doll like I did. I wrapped a thin strip of fabric around her and tied it in place with a string. 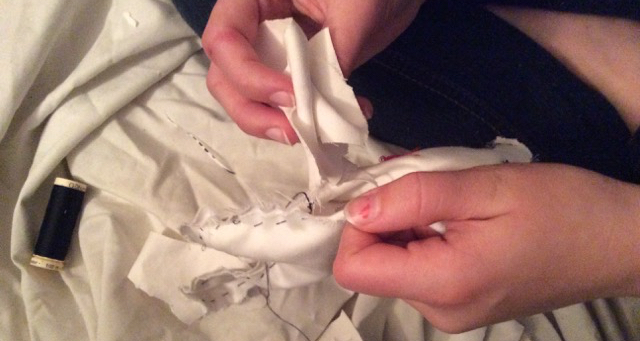 Then, I cut a small square from a wider strip of fabric and tied it to her with string. For the bonnet I cut a square from fabric and folded it in half, then sewed it on her head like a pirate hat made out of a handkerchief. 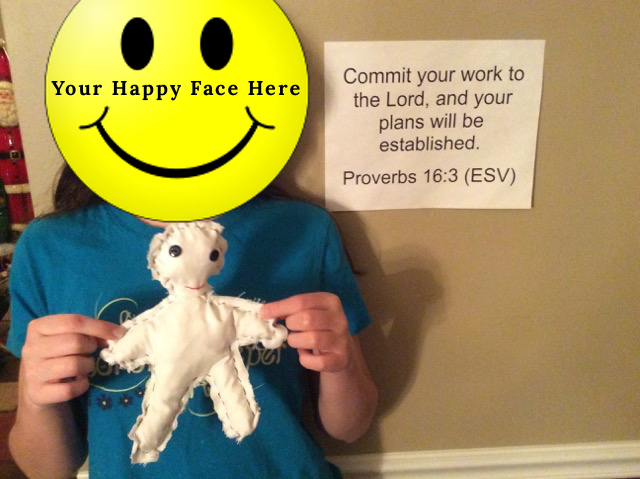 It was really fun to make the doll, and I hope you have twice as much fun as I did making it.